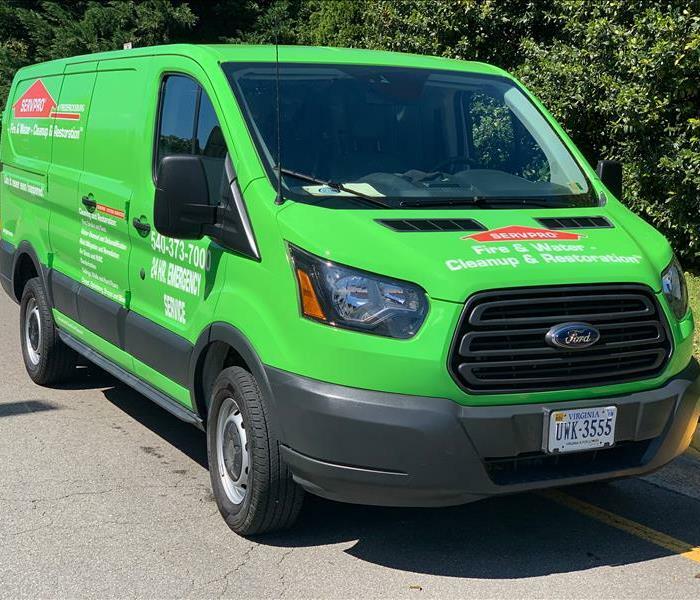 This is our newest fleet addition. When you see it on the street, wave and say hello because the guys love it when they get waves. 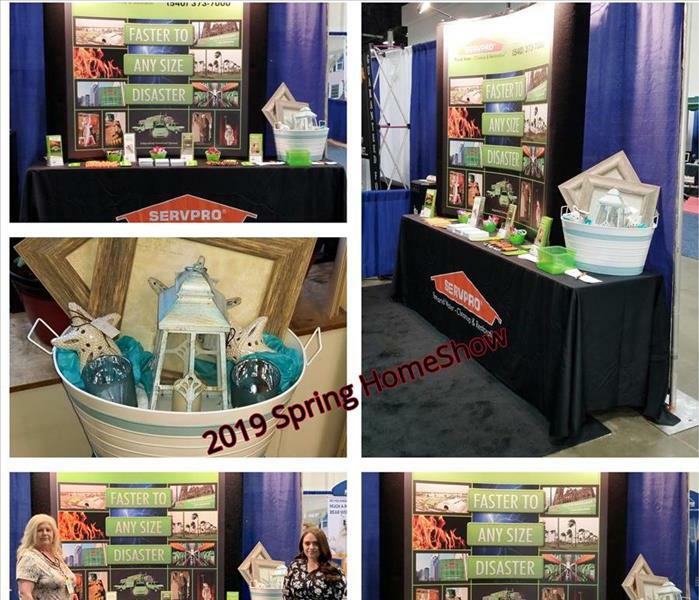 The 2019 Spring Home and Garden Show was a huge success, held at The Fredericksburg, Va. Expo Center. 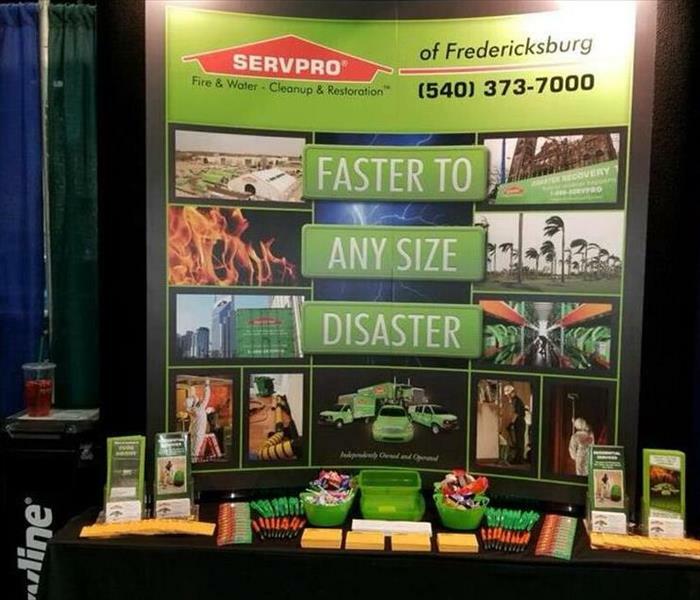 SERVPRO of Fredericksburg really enjoyed having a booth at The Fredericksburg Expo Home Show. Not only did we engage with so many people who did not know about our services but we talked with so many past clients of ours that had nothing but wonderful things to say about our crews and office staff. It was such a pleasure being here and sharing with our community. Our Marketing Team enjoying the afternoon at The Fredericksburg Central Park Chick-fil-A Military Appreciation Day. It's a every year event, we set up a table, give out prizes, share information and give away an emergency supply backpack to one lucky winner. 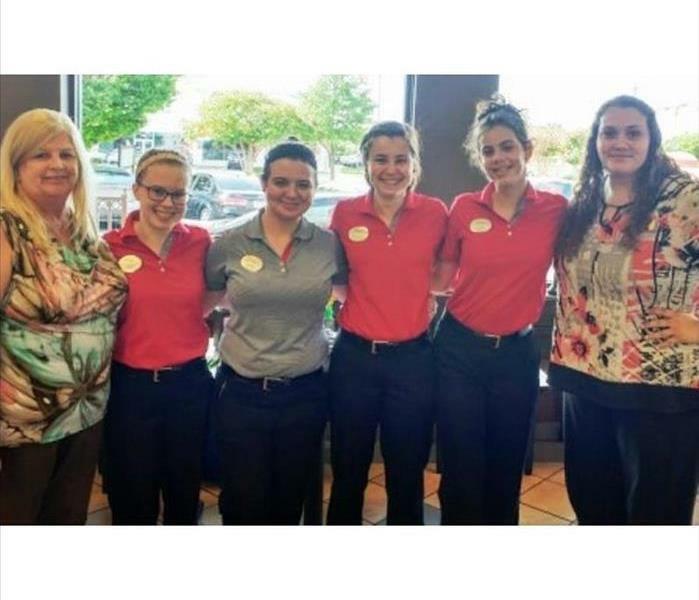 It is so much fun and we love all the Chick-fil-A staff and the Military Members and their families. Thank you for your services. 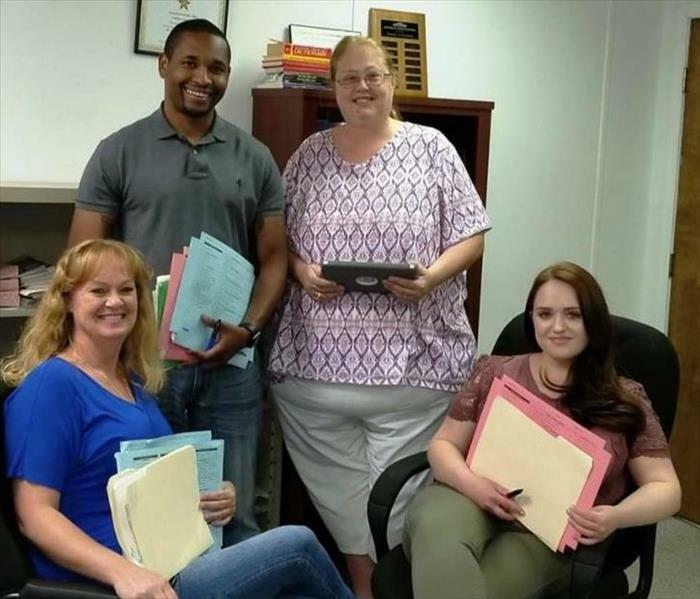 Jennifer, Rachel, Heather and James worked late into the evening on many occasions when we were saturated with water damages due to heavy rains in the area, frozen pipes, many days of below freezing temperatures or just an abundance of clients needing our services at the same time. They always make sure our clients are scheduled in a timely manner, documentation is processed accurately and billing is transmitted or mailed when ready. What a great admin team we have! 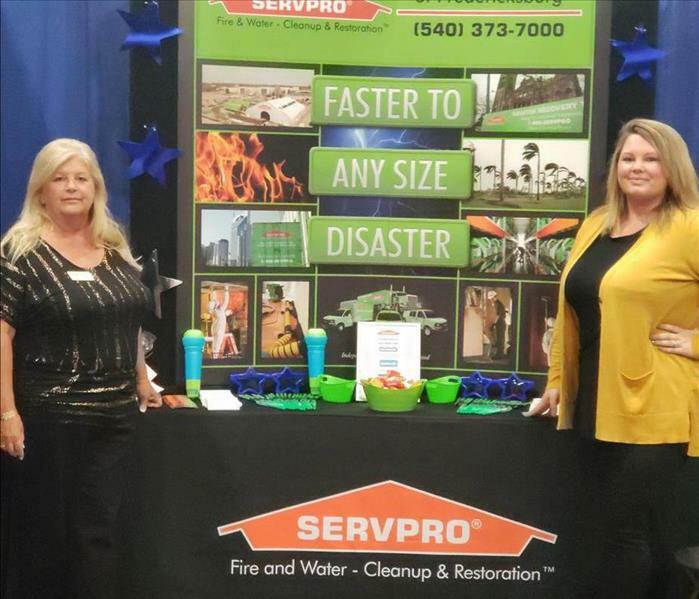 Our Accounts Manager Patsy Geel and Our Marketing Manager Shelby Stratton with our SERVPRO booth at the 2018 FAAR Expo Show. The ladies enjoyed decorating the booth and getting everything set up for all of the local realtors to stop by and learn about the services that SERVPRO of Fredericksburg offers. 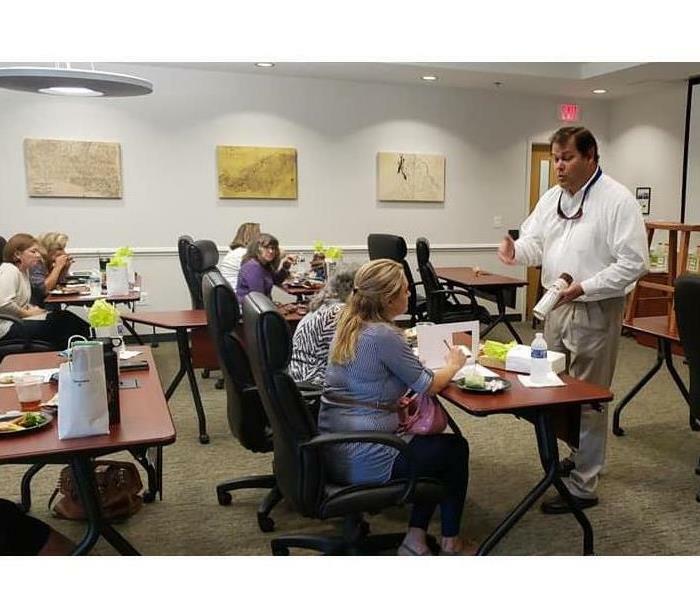 We had a great turnout at our Continuing Education class that we hosted on October 10th 2018! Insurance agents attended our four hour Fire Damage Restoration class to learn and gain credits towards their continuing education requirements. Thank you to everyone who attended and to the Rappahannock Goodwill Industries for allowing us to host a successful event. We look forward to hosting our next event soon! 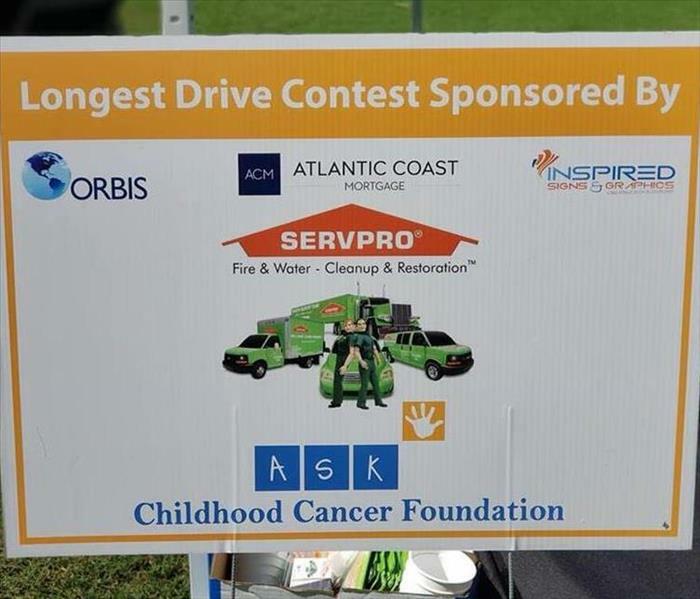 SERVPRO of Fredericksburg had the pleasure of sponsoring the longest drive hole for the 2018 Ask Childhood Cancer Foundation golf tournament. Patsy Geel and Shelby Stratton enjoyed meeting all the golfers that participated and all the others that gave their time, effort and donations to this wonderful cause. A good time was had by all!